Undefeated in IMSA competition, Cadillac’s V-8 in street trim powers the hottest production vehicles – CTS-V and Escalade – in their classes. The Cadillac 6.2L V-8 engine that powers Cadillac’s Dpi-V.R prototype racecars is undefeated at mid-season in the 2017 IMSA WeatherTech SportsCar Championship. Cadillac race engines have secured 11 of the first 15 podium places – including all five victories – during Cadillac’s first year of IMSA competition. Each engine has “traveled” more miles than a trip from New York City to Hollywood. Cadillac’s 6.2L V-8 engine has been consistent in delivering power and reliability to the three prototype race cars: No. 10 Konica Minolta Cadillac DPi-V.R, No. 5 Mustang Sampling Cadillac DPi-V.R and No. 31 Whelen Engineering Cadillac DPi-V.R. 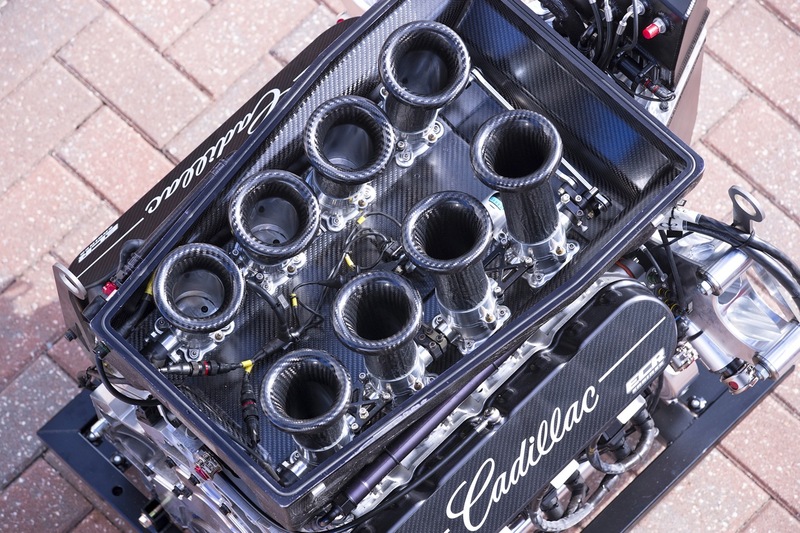 Each team has only used two engines in competition, enabling the newest generation of Cadillac racecars to collectively cover more than 15,500 miles under IMSA sanction with near-flawless performance. The race-prepped 6.2L V-8 engine, which shares inherent architecture with the 6.2L V-8 engines in the Cadillac CTS-V and the Cadillac Escalade SUV, is naturally aspirated and produces near 600 horsepower at a maximum allowable 7,600 rpm with the series-mandated air restrictors in place. Race engines are modified, built and maintained by ECR Engines. 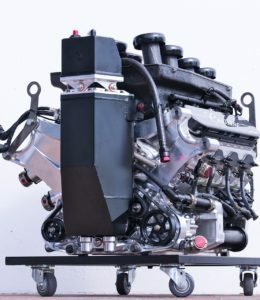 In addition to providing lasting power, the Cadillac 6.2L V-8 is an integral part of the overall design of the DPi-V.R prototype racecar, and a key to the structural rigidity of the car. As a semi-stressed member of the chassis, the engine takes some of the load delivered from the chassis, acting as the spine for the carbon fiber monocoque. This design feature was showcased during the 12-hour race at Sebring, 3.74 miles of varied surface including cement that has survived since being used as a World War II airport runway. The pounding that a racecar takes during the 12 Hours of Sebring is equivalent to what a racecar endures during the 24 Hours of Le Mans. In addition, the engine has to withstand the high-sweeping loads of Daytona’s banked speedway, the high lateral g-forces at Circuit of the Americas and the bumpy rides of the Long Beach and Detroit street courses with their surface changes, crowns and curbs. 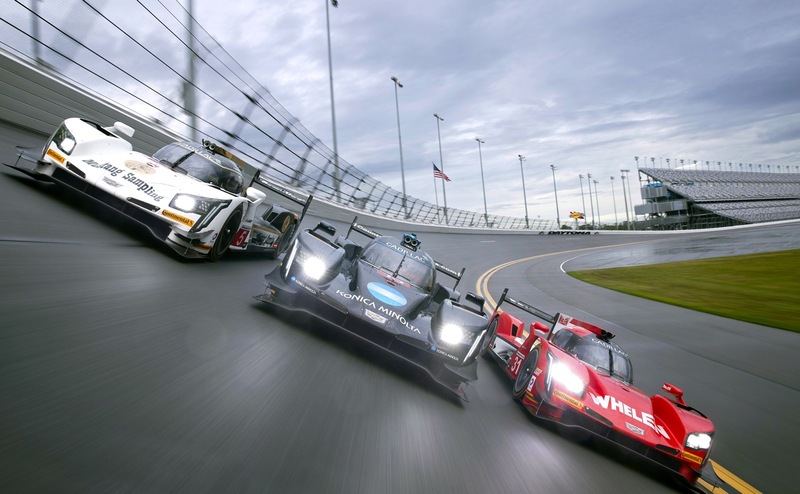 All three Cadillac DPi-V.R engines that raced from Sebring through Belle Isle without issue have each traveled approximately 2,822 miles, or more than a trip from New York City to Hollywood. This would also be in excess to the total distance of driving from London to Rome and then back to London. 2,822 miles is almost equivalent to 15 F1 races (F1 races average 190 miles per event). 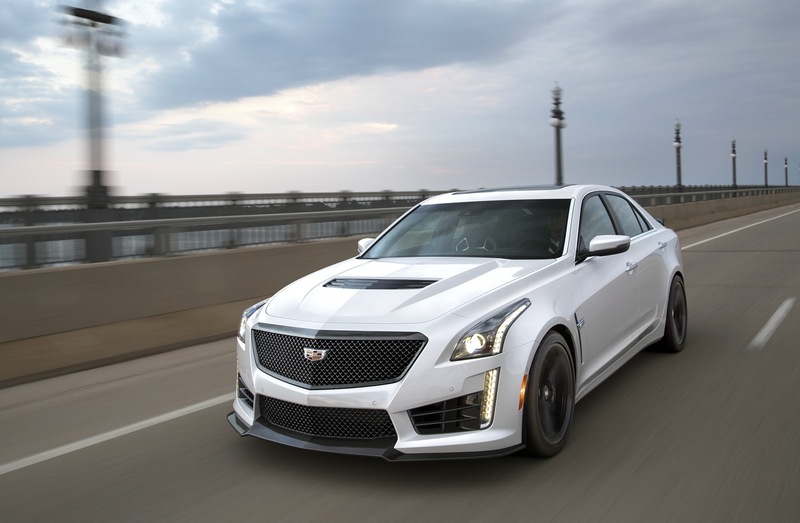 From Sebring through Belle Isle, the race-prepped engines were operated at the same water and oil temperatures as that of the production engines in the CTS-V and the Escalade. Not a single oil change was performed, nor was an oil filter replaced and each engine experienced a total of approximately 36,000 upshift and downshift events. Also, each engine logged a total of more than 13 hours of wide-open throttle. Across the IMSA circuits, the engines repeatedly experienced as high as 3.5-g’s lateral, 2.0-g’s vertical and 3.5-g’s under braking. The SUPERMAN: Ride of Steel rollercoaster at Six Flags America pulls just under 4 g’s! The ’17 Cadillac CTS-V is powered by a supercharged 6.2L V-8, SAE-certified at 640 horsepower and 630 pound-feet of torque. With more horsepower and torque than key competitors from Stuttgart and Munich, the CTS-V can sprint from 0-60 mph in 3.7 seconds and has a top speed of 200 mph.It makes more power more efficiently than the previous supercharged engine by employing a more efficient, more compact 1.7L supercharger and matching it with direct injection and Active Fuel Management (cylinder deactivation). The CTS-V has extra cooling content to handle the higher heat rejection and does not require any changes from the factory for consistent track capability. All Cadillac performance engines complete 24-hour endurance testing. Cadillac’s Escalade is powered by a naturally aspirated Cadillac 6.2L V-8 rated at an SAE-certified 420 horsepower and 460 pound-feet of torque. The 6.2L features state-of-the-art technologies, including direct injection, Active Fuel Management (cylinder deactivation) and continuously variable valve timing, delivering confident power, a rewarding 22-mpg during freeway driving and an 8,300-pound towing capacity. Even as a Corvette fan, it is SO COOL to see cutting edge Cadillacs!. GM has done to the Cadillac line what Ford can’t seem to get close to with the newest Lincolns. They are nice luxury cars, but quite forgettable. Come on Ford! Ever heard of a “Hot Rod Lincoln”?? ?